It’s important to stay active in the winter months and winter sports are a great and fun way to do that, but before heading out on your next ski vacation, take some small, but important steps to help prevent some common winter injuries like sprains, strains, dislocations and fractures. Many of these injuries happen at the end of the day when people overexert themselves. A majority of these injuries can be prevented by identifying muscle imbalances that could predispose you to injury. Cold weather constricts muscles and diminishes flexibility. To avoid back pain, Warm up properly and don’t overwork your body. Improper posture can also stress the back resulting in a strain or sprain. A fall can damage vertebrae or compress the discs in your back, leading to a more serious back injury. To ensure a full day of fun in the snow, make sure your back and abdominal muscles are strong. 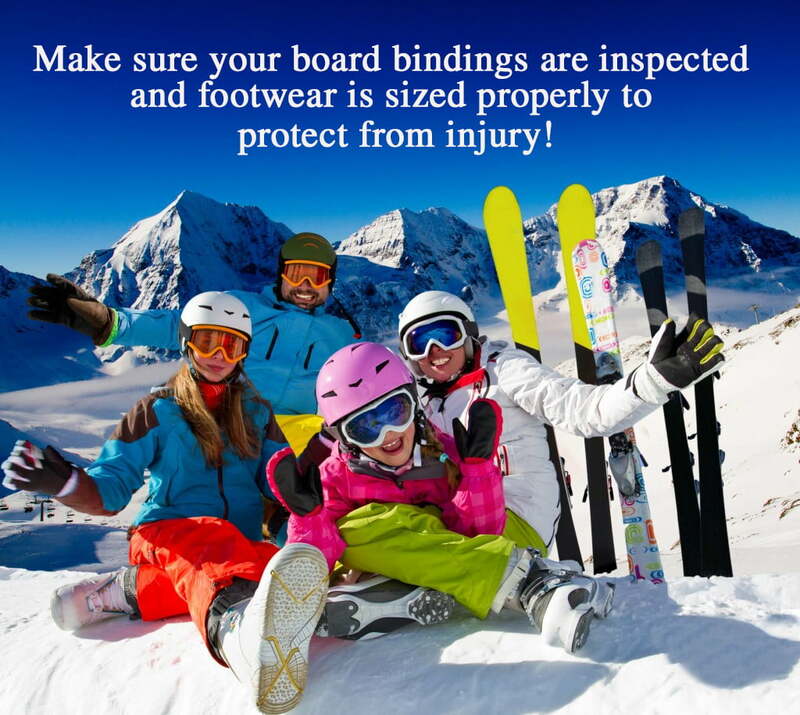 A bad fall from downhill skiing and snowboarding can cause a substantial injury to your knees and ankles. An ankle sprain can be more painful and take longer to heal than an actual fracture at the ankle. Tears or ruptures of the ACL or MCL of the knee are some of the most debilitating injuries and often require surgery. Make sure to have your board bindings inspected frequently and be sure that your footwear is sized properly to help protect yourself from these types of injuries. It is very easy to break your wrist or fingers when skiing or skating. Ski pole straps could lead to an injury of your wrist or a tear to the ligaments of your thumb. When skier fall awkwardly on their hand when holding a ski pole, skier’s thumb is an injury that often occurs. The result is a UCL tear, which is a ligament on the inside of the thumb. Making sure your ski strap stays below your wrist will help to prevent this common injury. Many UCL tears are treated by immobilizing the thumb for four to six weeks while the ligament heals. A physical therapist can help you avoid a winter injury. They will begin by evaluating your trunk and lower extremity strength to identify muscle imbalances that could predispose you to injury. 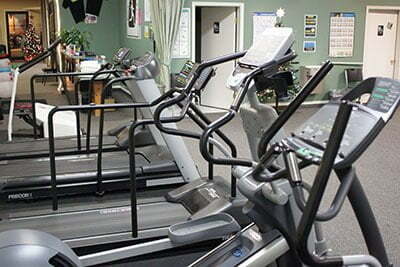 They can teach you exercises to strengthen the muscles, increase strength, flexibility, and balance. They will then work with you to develop a customized plan to help you prepare for the winter sports season. Call to schedule a free assessment with one of our physical therapists today to get your winter sports season started on the right path.